If you happen to have an oscillating tool and use it, then you will know this is one of the more versatile tools in the shop. A device like this can solve a lot of problems, and for that reason, I want to shed some light on some of the uses. 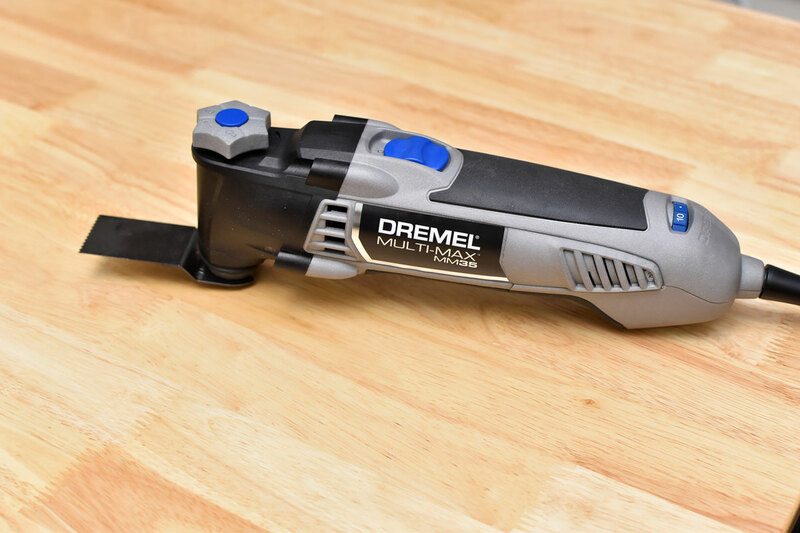 There are many brands out there, but for this post, I am going to focus on the Dremel Multi-Max. 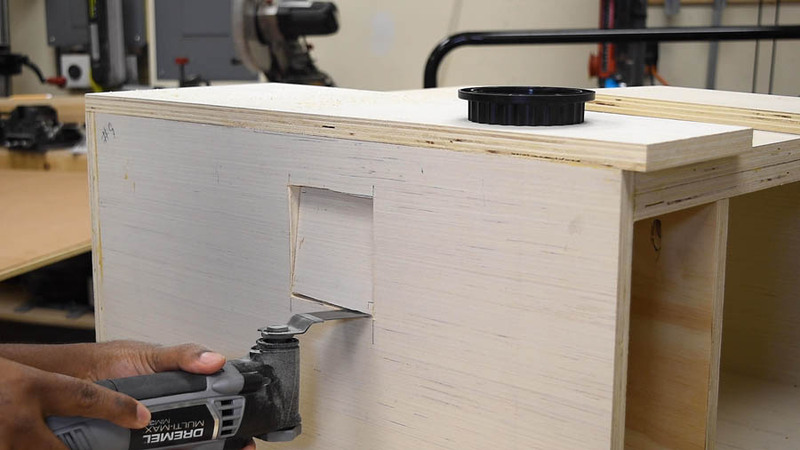 The oscillating power tool is also known as a multi-tool, and you may have heard that term a time or two. If you think about it, it makes sense due to the many functions it can perform. I could make a huge list of attachments but the most commons are used for drywall, wood, metal, mansory, and scraping. Depending on the brand there is a great deal to choose from. One thing you will notice with multi-tools is the blade changing process is different. I have a couple that requires a tool to loosen up the blade, and I don’t care too much for them because you have to keep up with that tool. The MULTI-MAX MM35 is tool-less, and that’s a plus. Depending on what you are working on you can easily adjust the dial from 10k to 21k oscillations per minute. Another great alternative is going cordless. 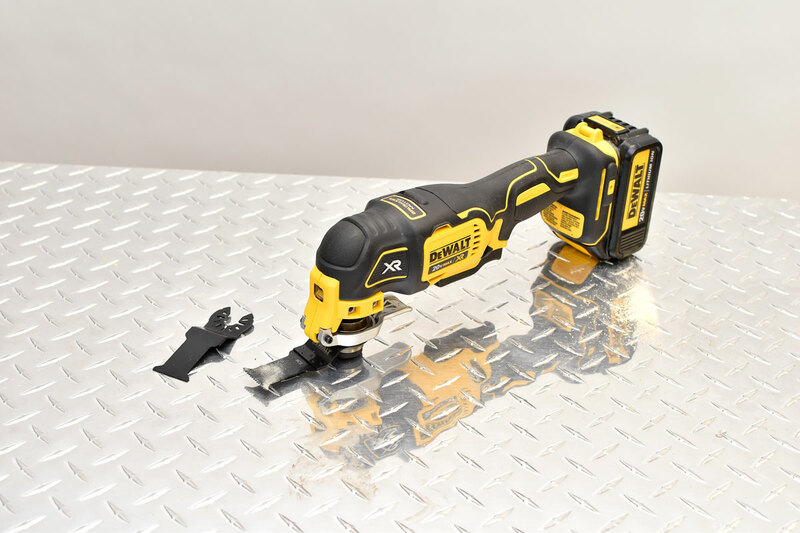 The Dewalt 20-Volt Max lithium cordless oscillating tool comes as a complete kit; tool, battery, charger, couple blades, and a carrying case. Usually, these options are a bit more costly but if you are looking to avoid running around with an extension cord then it’s probably worth it. This tool also doesn’t require a tool to swap the blades, but if you have other blades there is a universal attachment that will adapt to most blades. The ability to make plunge cuts are a good enough reason for me to own one of these. If you watched some of my videos, you have seen me cut out a few holes with this tool. I find this to be the quickest way to make difficult or near impossible, cuts, fast. Sure this can be done with a set of chisels, but consider what you are working on and whether you want to pound on it. For cutting out a square hole and working in tight spots this, is my go-to. 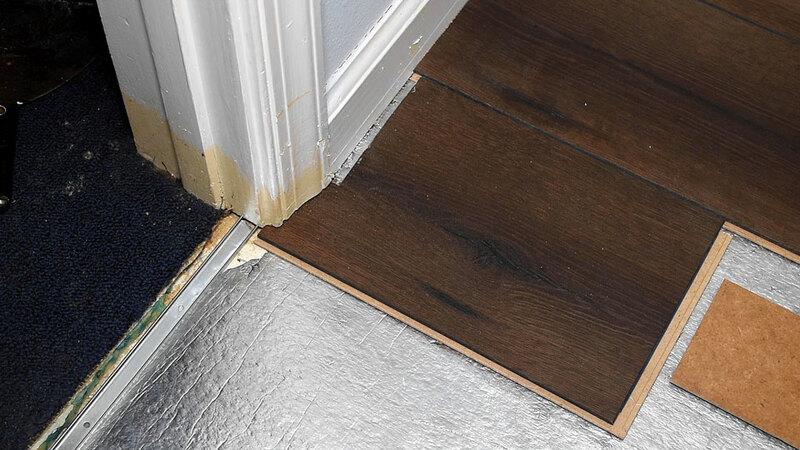 If you were planning to tackle a few home projects yourself, chances are you may be changing up trims, baseboard, modifying and even replacing floors. Doing just one job, the oscillating tool will show its worth. 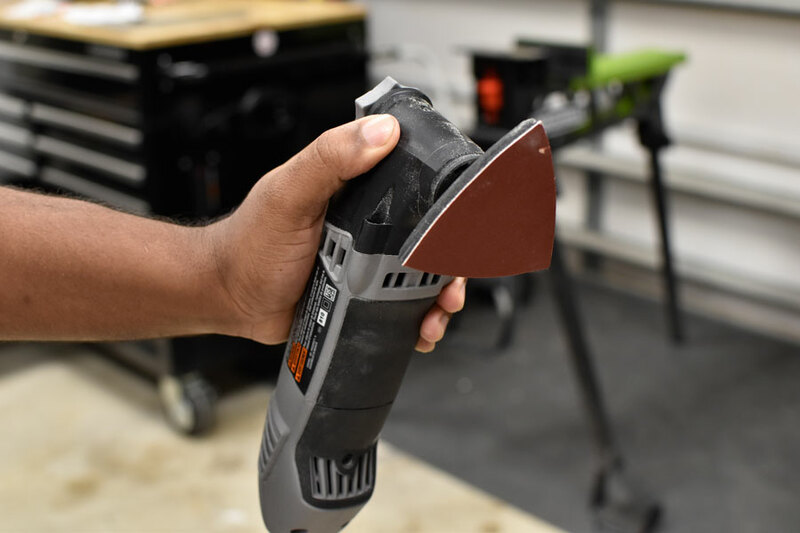 When it comes to sanding awkward or unusual pieces, don’t forget about the oscillating tool,the design will allow you to get in those tight spots. If you need to strip paint or prep a surface, simply change to the sanding pad. Like most sanders, you can you can cycle through different sanding grits. 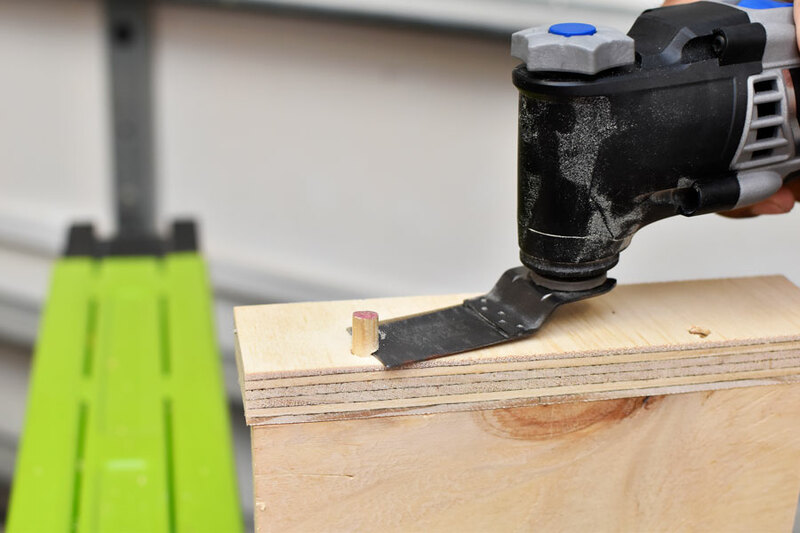 Another excellent use for this tool is making flush cuts. If you happen to use dowels often or occasionally you may want to cut them flush. In this case, it would be a great time to put this multi-tool to use. 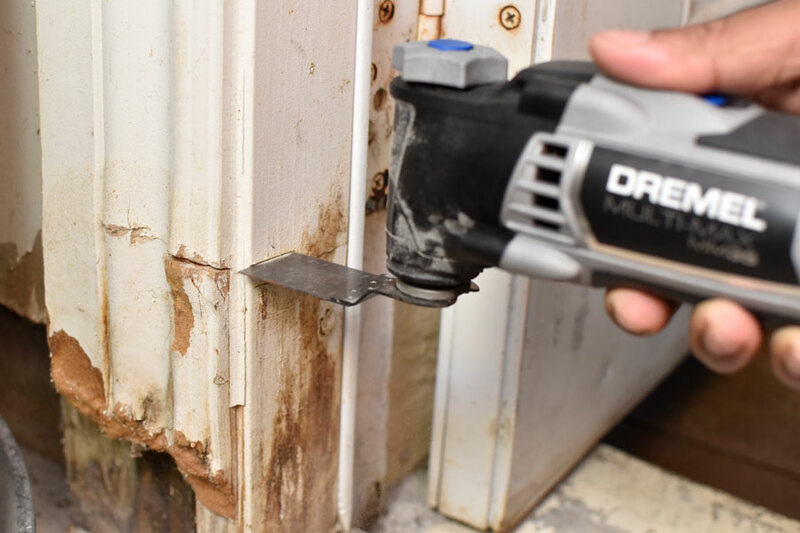 Besides all the other great uses you can expect from a multi-tool, this tool also makes quick work of cutting drywall, wood, and soft metal. To conclude, an oscillating multi-tool is not a bad tool to have hanging around the house or shop. 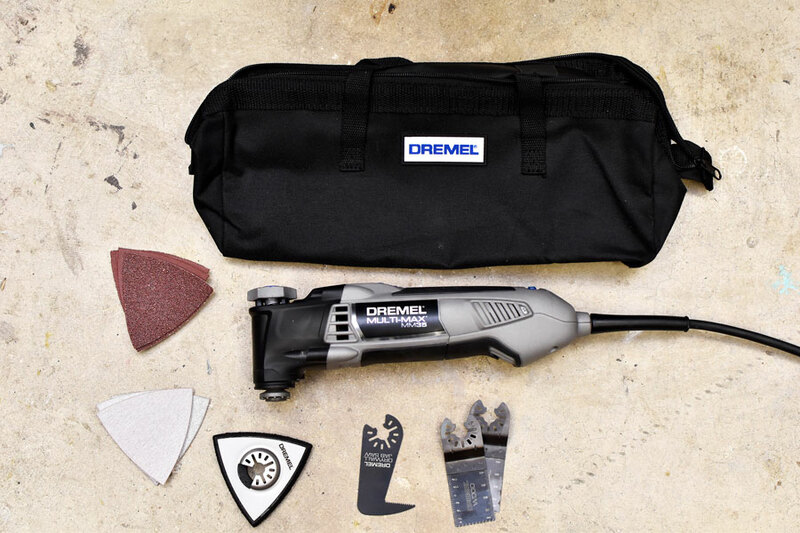 It can take care of multiple needs and the Dremel Multi-Max is a great option to check out. These tools are usually light and can be used with one hand, but using two hands is always a safer router. Although they are versatile, I do think that these are one of the safest power tools one can get. Hey, I think an oscillating multi tools are really useful for the woodworkers. And you discusses here five uses for an oscillating multi tool like an expert. Already bookmark this site for future reference. Hey, This is actually what I was looking for this. Thanks for the sharing this. And I am going in to take this.